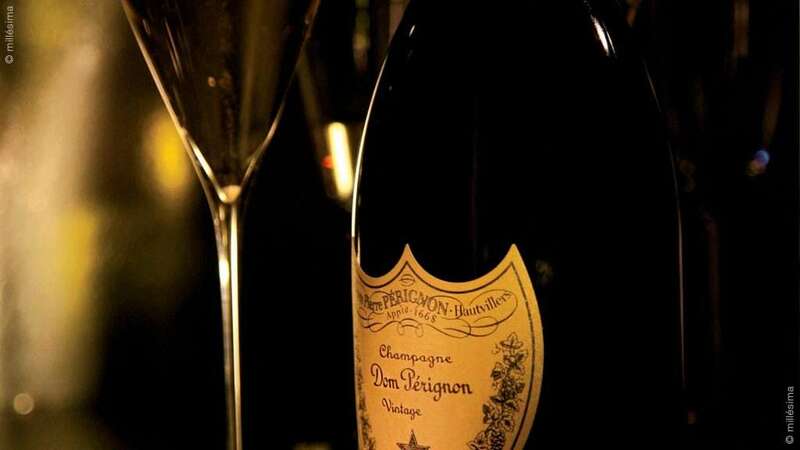 Extravagant dinners with Dom Pérignon and caviar, rampant corruption, political assassinations, a starving populace. Togo had been a small jewel in West Africa in the 1960s, a tourist destination for the French, with fine hotels, a reputation for stability, and a bulwark against Communism. And then it all went to hell. 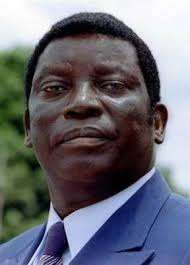 General Gnassingbé Eyadema served as the President of Togo from 1967 to 2005 and was involved in two successful government coups before coming to power. 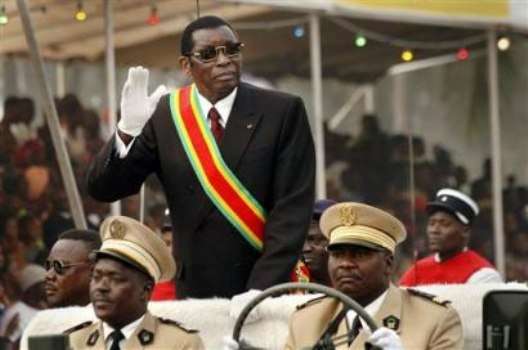 He established the Rally of the Togolese People (RPT), culminating in an anti-communist regime led by his party. Eyadema is remembered as having one of the longest presidential reigns in African history, and for the lavish life he led throughout his rule. 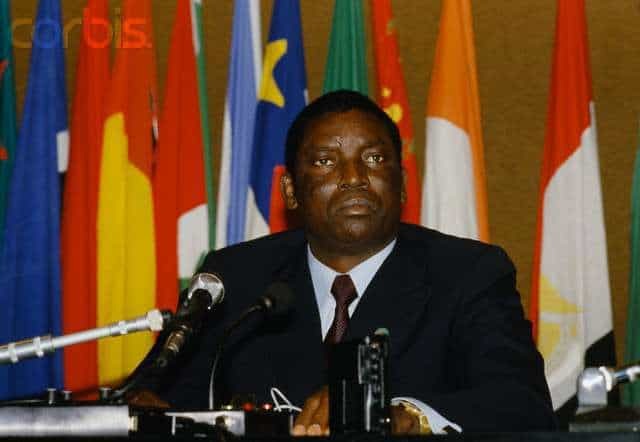 His fierce violence against any and all opposition made him an uncontested ruler until 1993 when multiparty elections were introduced in Togo. No matter — Eyadema still won a reported 96% of the vote and continued his iron-fisted control of the government. After surviving a rash of assassination attempts, Eyadema died on February 5, 2005 when traveling in a plane to receive emergency medical treatment. He was succeeded by his son, Faure Gnassingbé, who is currently serving as the President. Johnny Young served as the U.S. Ambassador to Togo from 1994 to 1997 and what Togo was like, his often surreal interactions with Eyadema, and the tedious hours he spent at the airport while Eyadema toadied to international figures. He also mentions the brutal disappearance of opposition members, the death of a German diplomat, and how, after a poor vice consul was declared persona non grata, he had to seek out Eyadema to discuss the matter but instead got a rambling discourse on how God saved his life. You can also read more about Johnny Young’s career and the Man who would be Emperor in Central African Republic. Q: What was Eyadema doing in Togo? I mean with his people and with the economy? YOUNG: One word. Nothing. Absolutely nothing and the people were very frustrated as a result of that. Togo was a model of development and stability at one time during the late ‘60s, rather I would say during the ‘70s and ‘80s. It was a vacation spot; French and other nationalities would fly in from all over to enjoy the beaches and the resorts. The hotels were first class. It was famous for being a nice little place of stability. At the height of Togo’s fame was when a lot of other countries in Africa were moving towards the left and moving towards socialism and communism and things like that. 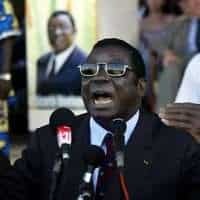 Togo remained stable and it was very pro-Democratic, very loyal to France, very loyal to the United States. Eyadema came to the U.S. and was welcomed by our President and was welcomed at famous universities who had given honorary doctorates and things like that because he was considered a good soldier in the war with the communists. That worked too well for him at that time. Then when he began to lose favor and the aid and support wasn’t there anymore. The country began to decline and it continued its downward slope. The European Union had begun to make its financial assistance or economic assistance conditional on reform so they had reduced the amount they were giving. The French had reduced the amount they were giving although they were still the principal country contributing. The Germans were basically doing the same as we were doing and the Italians and all of the others. Of course there was nothing forthcoming in terms of any kind of development assistance from other African countries. They were there basically as part of this solidarity with the other African countries. He wasn’t doing anything. We arrived. It was clear to us when we took a glance around that this country was fading. It had had a glorious past and now it was into a dowdy, seedy future. The buildings were all shabby and hadn’t been painted. Mildew and moss were growing on them. The number one hotel in town had great prospects. You could tell it was a grand hotel at one time. It was the largest skyscraper in town. I think about 15 or 20 floors. They had about six or seven upper floors that were not even constructed and had never been finished. The elevator didn’t work. The water didn’t work. Just all kinds of problems, yet Togo continued to reach out and present itself as a place that was perfect for international conferences and gatherings and meetings of that type. The other hotel in town the other big one had a similar situation. You could see it had a glorious past at one time and was struggling just to keep its head above water. Shortly after I arrived I presented my credentials to President Eyadema. He allowed me to bring along my deputy which was very nice although the deputy sat in an outer room. We had our tête-à-tête after the presentation of credentials. I looked at him and I said to myself, you know, you look just like you have been described in various narratives — as a snake. I mean he looked like a snake. He had these slanted eyes and the whites were not white, but sort of orangey looking and penetrating black centers to them. Very well groomed and coiffed, but just something about him that was slippery and it came through. A very clever man. Over the course of my time there I was invited to many functions. It used to break my heart to go to these things, but I had no choice. I was the representative of the U.S. and I was expected to be there. I used every opportunity possible to make known what we would like to see in that country. We would go to these dinners. He loved hosting various leaders who would come to Africa. Because of his longevity they came and paid respects. They paid deference to him and he was a good intermediary from time to time. I’ll tell you at one point where he was particularly helpful to us. The French loved him. They loved him and they knew that they could use him for political reasons as an intermediary with other African leaders. As I said, as someone they could use as an entrée to get to other African leaders because of the virtue of his position. This was at a time also when Mobutu [President of the Democratic Republic of Congo] was fading because his health was failing and he was just not as useful, so Eyadema was the number one man. 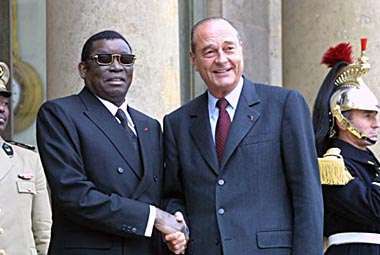 If you were to look at TV clips of Francophone meetings during that period you will find seated next to the French president, to his right, Eyadema because that was the number one place of honor. Eyadema lived like a king. He lived very high, no question about it. His office was beautifully done up. I mean you would look at his office building from the outside and say oh, that’s not bad, but some seedy touches here and there. But when you walked inside it had the finest furniture from France and the finest curtains and on and on, very nice. This was equally true for his residences as well. I say residences because he had many. There had been several attempted efforts on his life. They all failed and as a result the word was that he never slept in the same place two nights in a row. That he had always had a different place to sleep. I found that was probably true because I remember on one occasion when I was in a desperate state to contact him at night; I really got a runaround before I finally got him. He would have these lavish functions where he would host visiting African leaders and he would invite the entire diplomatic corps. We would go to these functions and we would begin with the finest caviar. We’d have all of these lovely things to begin the meal and the finest Dom Pérignon champagne and the finest French white and red wines. Then we would have the best filet mignon. You just name it. It was unbelievable. These were not small gatherings for two or three people, but these were gatherings for hundreds. He spent a fortune doing these kinds of functions, yet the teachers could not be paid, hospital workers couldn’t be paid, government workers couldn’t be paid. People were starving. In a country where corruption was already high, people in their desperation resorted to very corrupt measures to get additional cash in order to take care of themselves and their families…. Another thing that he liked to do was to go out to the airport and meet all the VIPs who were passing through Togo, particularly heads of state. If Nelson Mandela was passing through, he would make sure that he stopped in Togo and they met in the airport. He would call out the entire diplomatic corps and we would go out to the airport and wait and wait for the arrival of this person and for the departure of this person. The president would come around with the VIP while we stood in line like God knows what. We shook hands and bowed and that sort of thing. I would go out to these things. I would just tell my staff, okay, I’m going out to sweat for my government because I was going out to the airport and would have to stand in that sun. Sometimes, of course, these things were rarely carried out in any kind of precise time. You’d go out and just wait and wait and wait. I remember my French colleague once said, “This is terrible. You know we waste so much time here. We should each be given a [Nintendo] Game Boy.” I thought that was kind of amusing. There was a practical side to it. At least if you had Game Boy there you could sort of fiddle around with your thumbs until the time came to say hello and say goodbye. The president was from one of the minority tribes in Togo, from the north up towards the border with Burkina Faso. He had a home and palace and office up in a place called Kara, which was basically a de facto second capital city. He would sometimes summon us up to meetings there. He would send the jet down. He would get on his 707 and fly up to Kara and have a meeting up there. Again, very nicely decorated palace with all of the accouterments and furnishings from the best dealers in Europe and it was really quite up to date in that sense. Before I went to Togo there were clear signs that there was really lots of trouble brewing under the surface. We got there I think in October of ’94. I think in that September there had been an attempted coup. There had been the slaughter of a number of opposition people. Other opposition people gathered all of the bodies, put them in a truck, and drove them to the American Embassy. They dumped them all in front of the American Embassy. I’m told it was a ghastly, gruesome sight, which I’m sure it was, but they were trying to make a point. They were trying to get our attention. They were trying to get us to weigh in to get this man to rein in his boys. When I arrived there was no question that there were disappearances, people that we knew, particularly newspaper people and opposition people. They would disappear. You’d never hear from them again. Later you would find a picture in the press of their mutilated body. The press began to have some very difficult times with the government and some of those press people began to disappear. Now, one thing we did that I thought was very successful was to keep the pressure on the government in terms of being accountable for the disappearance of people. We wouldn’t let up, the Germans wouldn’t let up, and the European Union wouldn’t let up. Some of this change came about because of a change in technology as well. Just a few years earlier you could have someone disappear in Togo. It would be written up maybe if some outside source got wind of it, but it would basically be contained internally because the technology wasn’t there. The phone system didn’t work. Cell phones didn’t work, the fax system didn’t work, and computers were just getting started. But while we were there, these things began to really mushroom and it made a tremendous difference. We would encourage other organizations to send faxes, to keep the pressure on so that when someone went missing suddenly the government was hit from all angles and realized that it couldn’t just hush these things up. We had a big hand in making that possible and that was a big success. We got a lot of credit from the people of Togo for that. They recognized that the U.S. had a big hand in it and they gave us credit. Q: How did this work? Would the EU and others get together and say okay, so and so has gone, let’s do something about it? YOUNG: Absolutely. I can give you an example about a German diplomat. 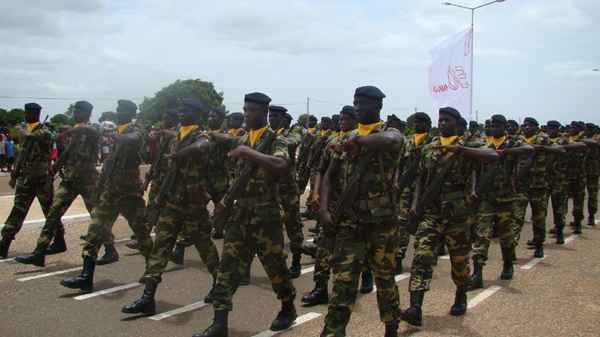 There would be these periods when security in Togo would be heightened because of information the government received that there was going to be some attempt to either invade the country or some attempt on the president’s life. Things would tighten up and you could tell when they would tighten up. You would get no notice on the radio or the newspaper or anything like that, but barricades would suddenly mushroom throughout the city. You would get the word that you just had to be extremely careful at night. Well, one night during one of these periods of heightened security one of our German colleagues, I think he was a security officer at the German embassy, was returning home. He was stopped at one of these barricades. They searched his car. I think he became indignant with the fact that he was stopped and searched since he was a diplomat. He got in his car and drove off. As he drove off the police at the barricade opened fire with their machine guns and killed him, 32 bullets in the back. It was horrible. Absolutely horrible. We went through the government. I asked for a meeting with the government. We got together our colleagues from the diplomatic corps and we marched in to protest this and to demand an accounting. This was one of the occasions for example when the French Ambassador sat there after this atrocity with his mouth totally shut. He didn’t say a thing. Here he is a fellow European and a German diplomat was gunned down savagely like that and he didn’t say one word. I was the one who led the discussion. I told the government how outrageous this was and how they needed to do something about the security situation. Here we have all these inexperienced people manning these barricades. He did absolutely nothing. The government was very embarrassed by this. It was a horrible thing that happened. As horrible as it was I think some good came out of it. I think it made the government more sensitive in terms of what was going on, not only in terms of with foreigners, but even with its own people. Some transparency began to enter the process and it did make a difference. The government did apologize to the widow of t his fellow. They offered her money. I don’t know how much, but I think they offered her a pension and all kinds of things like that which they should have done…. The president had structured the military so that it was totally loyal to him. The top people in the military were all of his ethnic group. They were not of the majority Ewe ethnic group. All of the top dogs in the military were his people. He had the military right in his pocket and then in addition to that he had a son who was a key person in the military although not the top person. That basically assured him some loyalty at the mid-level as well through his son Ernest, who was quite a rascal in his own right…. I had a very interesting development toward the end of my assignment. I had a young junior officer, Joel Ehrendreich, whom I liked very much. Smart, bright, the future of the Service. I really felt good about him. He did excellent work for us as a consular officer and then also reporting on political developments as well until we had a full-time political officer, but he was a great consular officer. One day he came to me and he said, “I just had a group of people outside there. They wanted visas to go to the States to present some dance. You know they were people who had been cooks and bottle washers and all of these different jobs of that type.” He said, “How do I know you can dance?” So, I took them outside in the courtyard of the embassy and said danced for me. They danced for him and he was satisfied that they were good dancers. He said, “You might hear about this from the Minister of Foreign Affairs,” who was a moron of the highest order. I’m trying to think of his name now. He was just impossible, very pompous fellow who every step the president made you could see him dragging behind licking his boot. He was just the sycophantic type. I guess about a couple of hours later I got a call from this Minister of Foreign Affairs. He says, “Can you come to the Ministry right away?” I said sure. He says, “This is an outrage! We cannot have this. 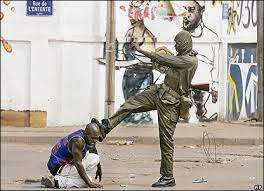 The dignity of the people of Togo has been insulted” and on and on. I said, “Well, I’m sorry about that, but these are our rules. If they want to go, this is what’s required.” That was that. 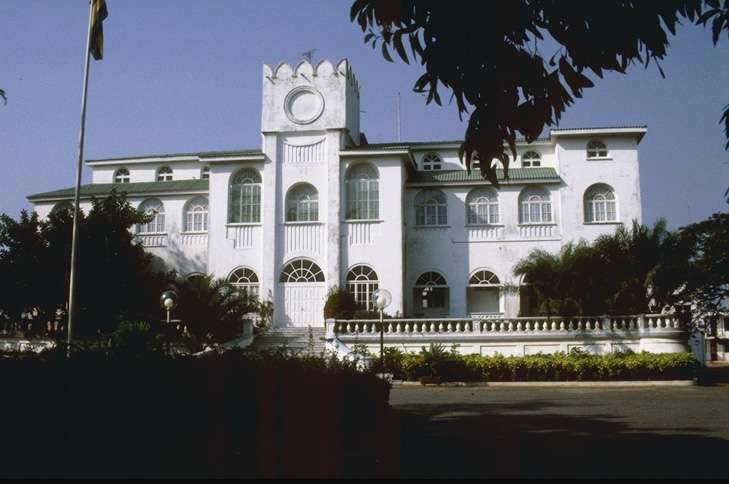 Later on that evening my wife and I went to a fashion show at the French ambassador’s residence. It was a lavish event. The runway was strung across the swimming pool and these gorgeous ladies would just come floating across in the evening night with their beautiful billowing gowns. It was just a lovely event and champagne flowed and lovely hors d’oeuvres, it was all done in the best French fashion. We had a good time, good food, and good conversation. We were out in the garden, the stars were out and the leaves in the palm trees. I mean it was just wonderful. We got home and we said, gee what a lovely evening that was. That was very nice. Then as I entered the front door I almost stepped on this huge white envelope. I picked it up and I opened it and there was a sign on it. Urgence. So, I opened it up and there was this elaborate note from the Ministry of Foreign Affairs advising me that the government took exception to the manner in which the dancers were required to perform in the courtyard of the embassy before they were issued their visas. We find that not proper. Beneath the dignity of the people of Togo and on and on. The officer responsible for it, Mr. Ehrendreich, is hereby declared persona non grata and must leave the country within 48 hours. Well, I was horrified and so was Mr. Ehrendreich. I called him and told him what had happened. I said, “Don’t worry, I’m behind you 100%. I’m going to do everything I can to keep you here.” His tour was going to end in a couple of months in any case. I could have taken the easy way out and said, “OK, Joel, the government has declared you PNG and that’s it.” I got on the phone immediately. I tried everything. This is when I basically corroborated the rumor that Eyadema stayed in a different place every night because I had all these numbers for him and I kept calling all of these different numbers and they said, “No he’s not here, try this number.” I tried and tried. He said, “No, come tomorrow morning at 6:30.” I said okay. The next day my DCM [Deputy Chief of Mission] and I went to see Eyadema. I told him what I had come for. He knew, but he didn’t acknowledge that he knew….There we are at 7:00 in the morning in the president’s office eating lamb brochettes and drinking Dom Pérignon champagne while the president listens to us and regales us with stories of his past life. He reached in his pocket and he pulled out a notebook. The notebook had the passage where the bullet had attempted to penetrate and he said, “Because of this. This is what saved me.” You could see where it hadn’t gone through and it literally did save him. He said, “Thank you very much” and that was the end of the meeting. I said, “But Mr. President, what I came to see you about.” He said, “I’ll talk to you later” and we left. As we were leaving the German ambassador was coming in. He says, “Oh, there is a method to his madness. He was trying to tell you as God saved him on that occasion, he will save you on this occasion as well.” That was a little bit too thick for me to comprehend at that point so I let it go. The next day I called the president and he told me, “Don’t worry, it is okay. Mr. Ehrendreich could stay.” Joel stayed and completed his assignment and went on. Those were some of our fascinating tales with President Eyadema who was quite a character. “Jerry Rawlings….But Rawlings came to power the way you did, in a bloody coup, but Rawlings reformed and changed and as a result has been recognized and has been given a place of honor in the international community. When you change, the same will happen to you. He couldn’t buy that at all. He said, I was your good friend, I stayed by you through thick and thin and he did. But the fact is the times had changed. He was not prepared to change with the times so he paid the price for that.